When outside the weather is that miserable, I must write about something summery, bright and colourful. Penelope Chilvers shoes are the right antidote to a rainy day. Penelope Chilvers is an artist first and foremost. Living in Spain of few years and having her holidays in her childhood in that country, she went to know the classic Spanish riding boots and espadrillas. So her collection is always inspired by those shoes she's worn when she was a child and they are linked to her fondest memories. 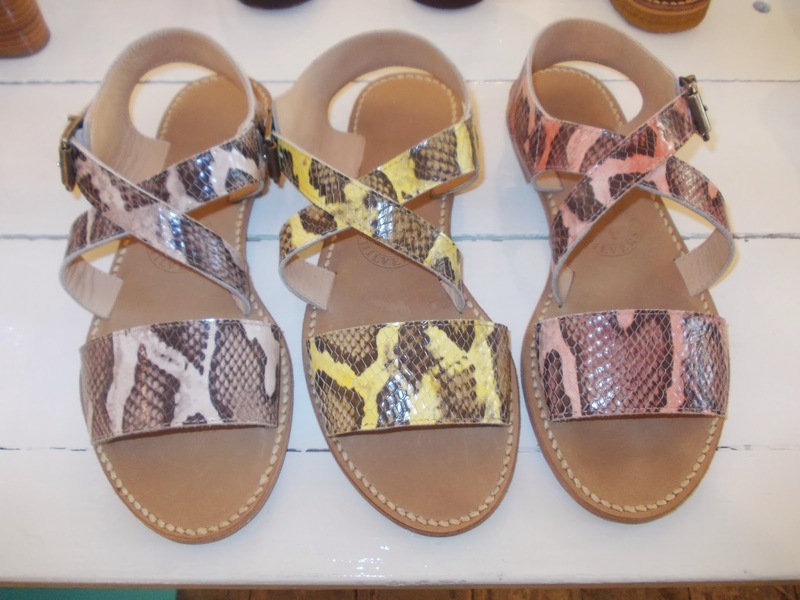 These are the Alba sandals in snake print leather. They will be available in pink, aqua, yellow and sand. Wear them with a floaty dress or skirt, or shorts and jeans as well. Given the fact that they are flat they are perfect with a mini skirt. At least this is what I think, flat and mini are fine, mini and high heels are more difficult to pull off. The Cresta sandals are perfect if the snake leather pattern is not your thing but you like the shape of the Alba sandals. 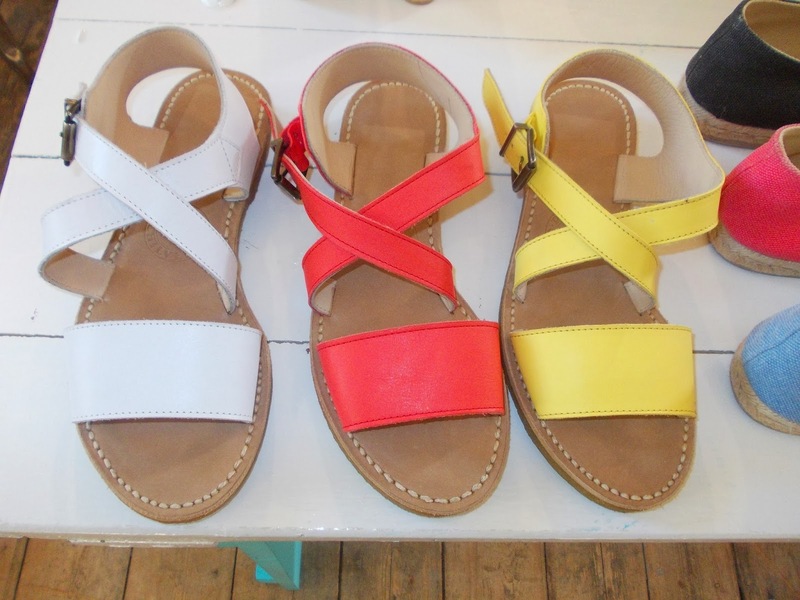 In white, red and yellow, they cover all the main colour palette for next season. they are the perfect frame for playing with nail polish. 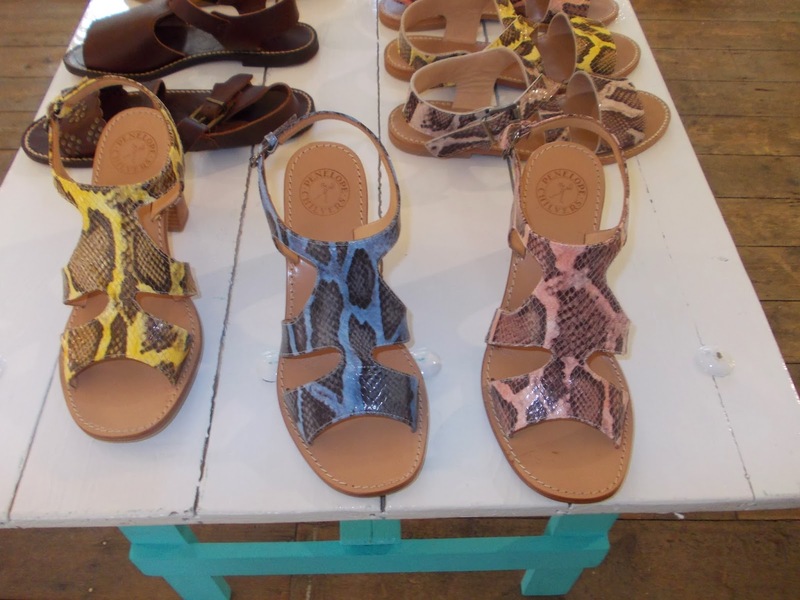 The Rio sandals are sporting a mid chunky heel and snake leather print. The 1970s feel given by the wooden heel is the final touch and the colours available are pink, aqua, yellow and sand. As you can see snake print leather is going to be big next season. 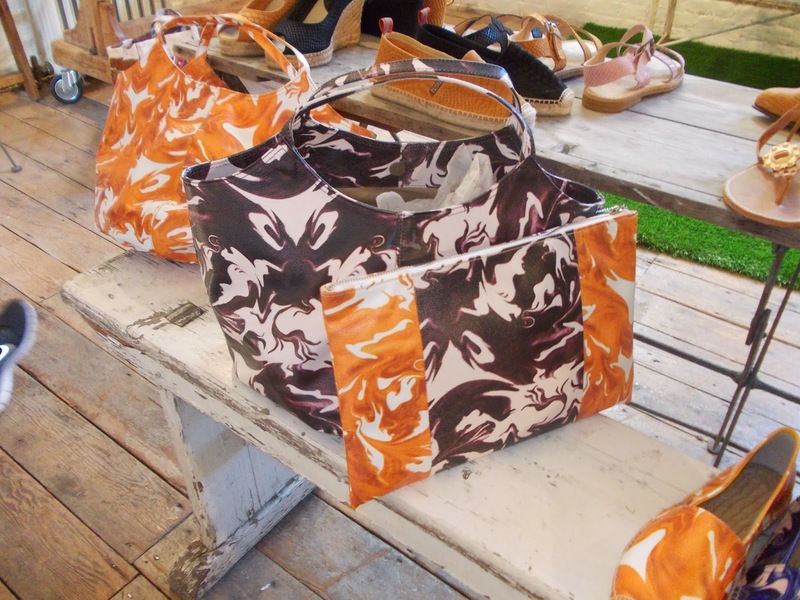 Beautiful bags matching the Ramone tie dye shoes. Perfect totes for the beach and huge clutch bags for an evening out. their shapes make them easy to store in your luggage, sometime restricted by companies regulations. With these bags we can be stylish on holiday even with a hand luggage. Metallic is another big trend for Spring and Summer 2014. These wedge sandals and the Dandy slippers are my favourite. The wedge must be so comfortable, shoes that you can wear all day long and not only on holiday but at work as well. 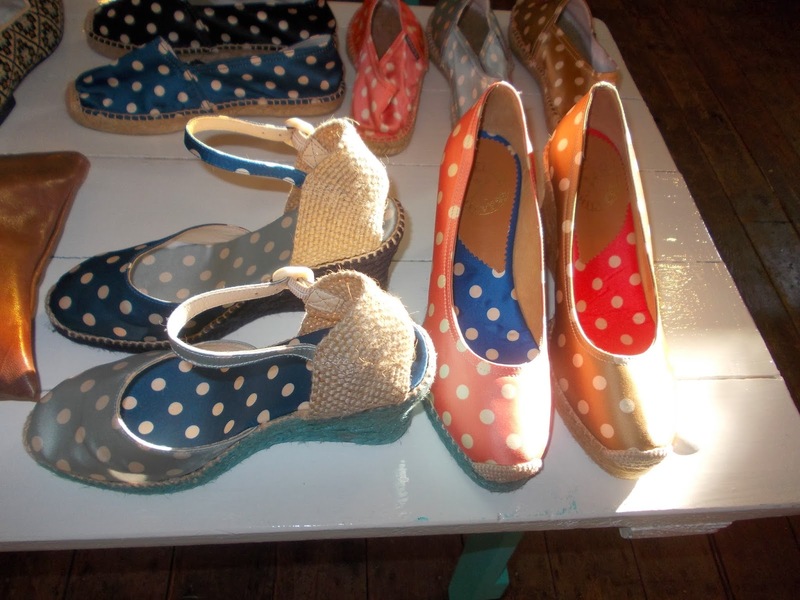 The slippers are fantastic and they jazz up a pair of navy or black trousers. I love polka dots and these Mary Jane in satin are lovely as well as the Scoop satin with a cord wedge. The Mary Janes are available in zinc, indigo and geranium, while the Scoop wedges are available in watermelon, indigo and bronze. These are a sophisticated version of the espadrillas shoes in fabric I remember when I was a child. 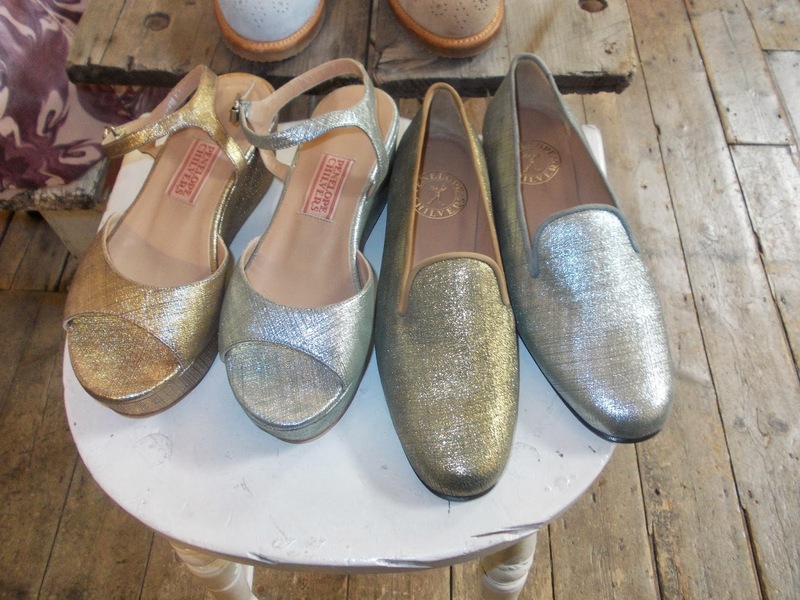 Penelope Chilvers designs the classic flat espadrillas as well in satin with the same range of colours of the Mary Jane and the Scoop models.